I’m just back from a heartwarming trip to my hometown of Swansea, where I caught up with family, dipped my toe into the Dylan Thomas Centenary Celebrations, and ate a ridiculous amount of food! 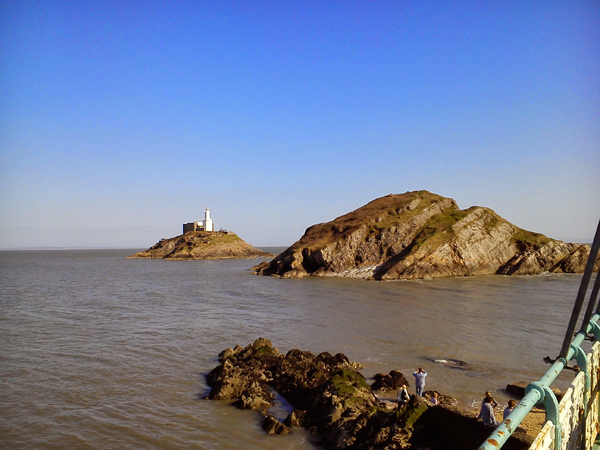 A trip to Swansea wouldn’t be complete without a stroll along the sea front. Oh, the views! Photo: George Moore. ‘My Life with Dylan Thomas’ – an illustrated talk presented by Tony Curtis, Wales’ first Professor of Poetry, took place at Swansea’s Dylan Thomas Centre. I used to go back and forth to the centre, when I was running my publishing company ‘Young Welsh and Poetic’. I was given the use of an interview room during the early selection process, when I quizzed young writers, eager to work towards a first pamphlet and collection over the course of a year. I also attended the regular open mic nights and held a ‘Young Welsh and Poetic Day’ back in 2006, so I found myself flooded with memories of my younger self and all those poetry coloured dreams I had, some of which have been happily realised! The talk was cleverly pieced together, drawing parallels between Curtis’ own life and that of Dylan Thomas. Curtis studied under the tutelage of Vernon Watkins, a close friend of Dylan Thomas, who the poet trusted with his work, accepting editing suggestions. In turn, Thomas would offer comment on his friend’s work and the relationship suited them both on a personal and professional level. Saing that, it must have been tested when Thomas did not turn up for Watkins’ wedding, despite being best man! At the end of the evening, I purchased the book, also called ‘My Life with Dylan Thomas’. It only cost £5 and I got it signed with a personal message, so a satisfying evening. I can’t wait to see what other events Swansea has to offer over the next few months and hope to head over in the autumn for a further taste of centenary fever . . .
On Saturday, it was time to eat a three course lunch at The Greyhound, an atmospheric restaurant and bar, which can be found in the picturesque setting of Llanrhidian, Gower. The venue is a family favourite for special occasions and everyone enjoyed the food, drinks and ambiance as we joined my sister, Alison and her husband, Nick, in celebrating their silver wedding anniversary. After the meal we stopped off at Penmaen. 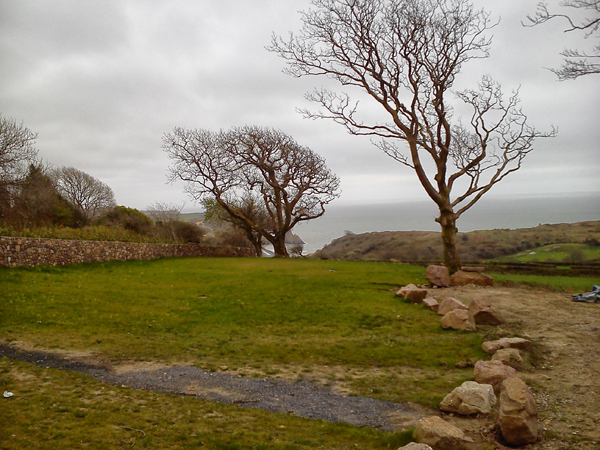 Here, you can just see the famous ‘Three Cliffs’ against the sea. Conditions were a little wild! Photo: K. S. Moore. I also took some time to visit ‘Clyne Gardens’, a park situated near to my childhood home. It’s at this part of the year that the park begins to grow and blossom, offering myriad shades of scarlet, soft pink and buttercup yellow. The sun made the colours shine and the place brimmed with families, dogs, ducks, and all the heady scents of spring. 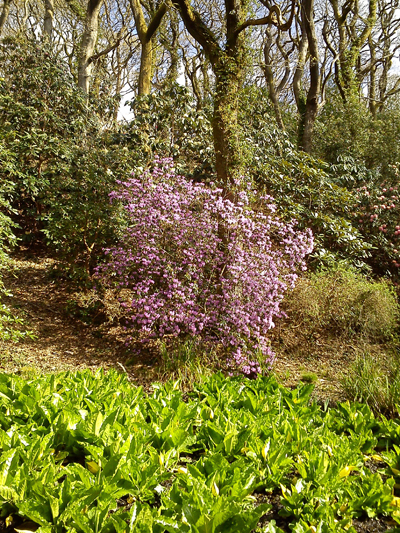 An example of ‘Clyne in Bloom’. Officially, it’s not meant to happen until May! Photo: K. S. Moore. On a sunny day, people from all over Swansea head out to the village of Mumbles, where they can stroll along the seaside and take their pick of the ice cream parlours. On the last day of our holiday, Hubs and I chose to do just that and met a friend at Verdis. After our ice creams, we took a walk down towards the pier. The nightclub I used to go to as a teenager is still there, but it looks as though there are big plans for the building. A lot of work has already been done on the pier itself, although it is currently closed to the public. It should be interesting to see what happens next. And so, it’s back to my desk and the wranglings of my craft – I hope I can get back into writing my novel without feeling as though I am walking into quick sand. You’ll have to check back next week to find out how I get on!